This is a nice set for the money. Please note, its a recreational quality set and not a regulation set. If you want an affordable set that will work as advertised, this is for you! If you have any questions about this product by Fun Stuff, contact us by completing and submitting the form below. If you are looking for a specif part number, please include it with your message. 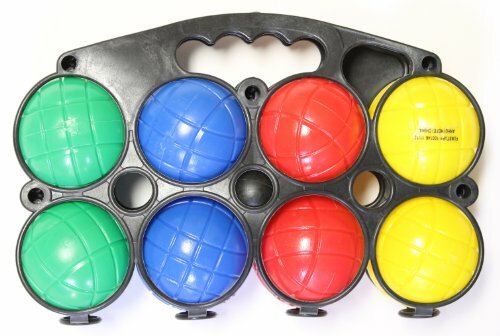 Unique Premium Quality EPCO Tournament Set, Yellow and Red Bocce Balls - 110mm. Bag included.